LAST FEW SIZE 48" AND 50" CHEST - EXCEPTIONAL VALUE! 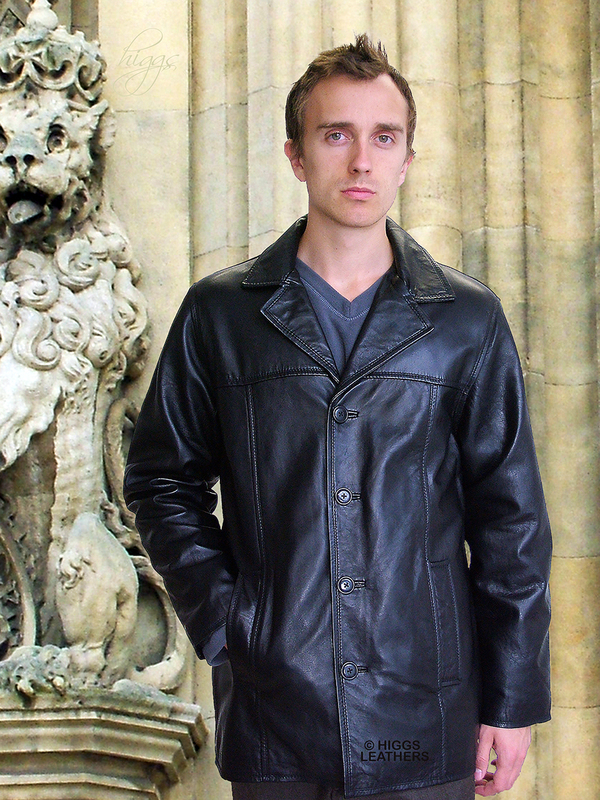 Men's fine quality black leather jackets made from extra soft lamb nappa skins. Single breasted Reefer style with rever collar, straight easy cut body and sleeves, ideal for both smart and casual wear. Two comfortably placed outer pockets plus two full wallet size inner pockets (one with a zip) edged with leather. Button and buttonhole fastenings. Black Polyester lining with soft lightweight thermal interlining. Also last few available in Antique Brown (please type Mitch into our search bar for details).